We lost the majority of my son's Lego collections in a flood. The attached pictures are all we have and need them identified for insurance. Would appreciate your help identifying the set number. 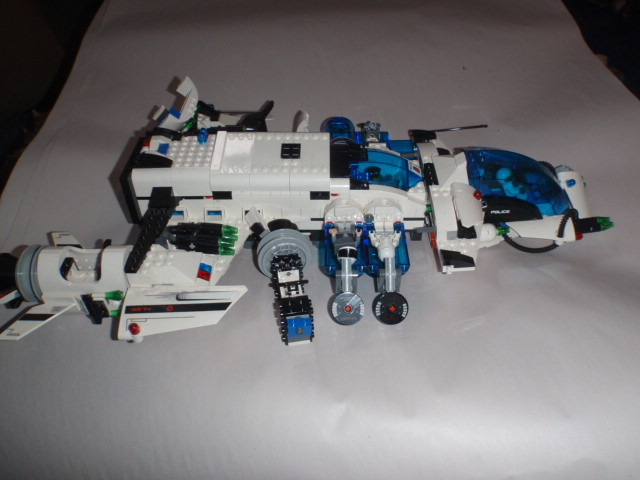 You have (part of) set 5974 - Galactic Enforcer (2009). 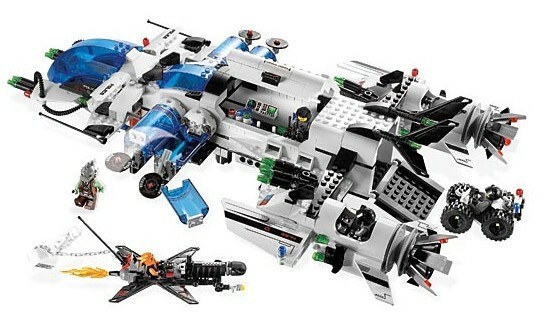 This set is missing a few parts, as the back end is supposed to be rather symmetrical and there is a separate space ship (black). See the picture below.